Michael Gagliano is #1 in New Jersey once again . Michael ‘gags30’ Gagliano opened 2018 as the king of the New Jersey Online Poker Rankings and maintains his position after the first month of the year. Gagliano widened the gap between him and second-place Yong ‘ykwon17’ Kwon thanks to major wins across NJ’s regulated network. The PokerStarsNJ Nightly went to Gagliano twice, as did the 888pokerNJ Tuesday Showdown on January 31. The January 28 $45,000 guaranteed Sunday Special earned Gagliano his largest win of the month and he collected $10,546 along with 233.45 PLB points. Kwon performed to his usual standard in January. Seven wins sum up Kwon’s month including a win in the PokerStarsNJ Winter Series Sunday Special. Kwon won the $55,000 GTD MTT for $11,625. In the third hole for another month is David ‘dehhhhh’ Coleman. Five tournaments resulted in a gold medal for Coleman, including two PokerStarsNJ Sunday High Rollers. Coleman cashed in for a few hundred dollars shy of $15,000 between the two wins. Michael ‘JohnnnyDrama’ Haberman made a jump up from #7 to #4 in this edition of the NJ rankings. Haberman won nine tournaments in January and performed well on the live side via his cash in the WPT Borgata Winter Poker Open Championship. Nestled in the fifth spot is Jeremy ‘Jermz’ Danger. “Poker Jermz” entered the winner’s circle 11 times in January, with the largest victory worth $1,610. Danger’s best score came in the January 9 Super Tuesday where third place awarded $3,483. Daniel ‘centrfieldr’ Lupo lowered his volume in January. His best result was a third-place run in the January 7 Sunday Special. Another player down a smidge in the rankings is John ‘Selurznug’ Cosgrove. With the help of five wins, Cosgrove pushed his career earnings up over the $650,000 mark. 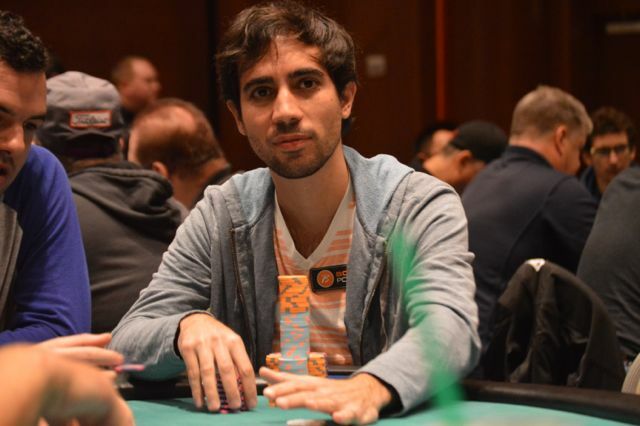 Andrew ‘Mergulas’ Glauberg climbed the ladder to the #8 spot. Matt ‘papamat25’ Iles joins him in that pursuit by rejoining the rankings after a couple of months outside. Iles won the Winter Series Main Event on January 21 for $21,696 and used the 334.85 points to push back into the top-10. The final member of the rankings is Fred ‘BiggDaddy’ Ferrell, who rode the Moonlight Express three times on his way to 10 overall wins.